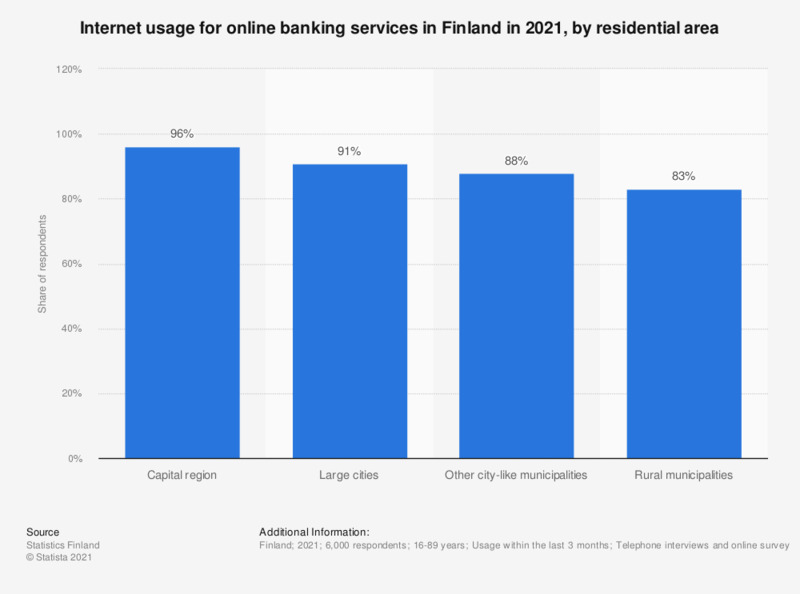 This statistic shows the share of people, who used the Internet for online banking services in Finland in 2018, broken down by residential area. That year, 92 percent of people in the capital region used the internet for online banking services. Which bank(s) are you a customer of?